The Nigerian economy seems to be synonymous with fuel scarcity. 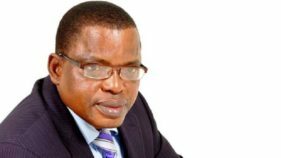 It does not seem to matter which regime is in charge, every couple of years, or in some cases months, the problem of fuel scarcity rears its ugly head. 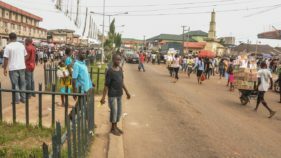 Every regime follows the typical playbook in dealing with the scarcity: sympathize with Nigerians and talk about how they shouldn’t be wasting useful hours queueing for fuel; talk about how marketers, smugglers, and various middlemen are sabotaging the economy for their own selfish interests; promise to revamp the refineries; pay off marketers so they can settle their debts, import new products and flood the market with fuel, with the hopes that it makes the scarcity go away. In all this we often forget to ask ourselves a simple question: Is fuel scarcity the problem or is it just a symptom of the problem? First, we should clarify exactly why we have fuel scarcity. Ironically, it can be explained by simple elementary economics. Assume you start from a scenario where everything is fine. Fuel is being supplied at a certain price, and people are buying at that price, and as we economists say, the markets clear. That is, everyone who wants to buy fuel can buy fuel at that price, and suppliers are selling fuel at that price with no qualms and everyone is happy. But then time passes, and things change. Maybe the price of crude oil doubles. Or the domestic currency depreciates by 50 percent making the cost of importing fuel go up. Or people decide that they all want to travel for the holidays and suddenly all want to buy more fuel. In a properly functioning economy, the price of fuel would simply go up, incentivizing marketers, or suppliers, to keep supplying fuel and forcing buyers to cut back, or reorganise their plans and use less fuel. In a properly functioning economy, when the fundamentals change, the prices change as well. Everyone adjusts, and life goes on. What if you are in a dysfunctional economy where, for whatever reason, prices cannot adjust. Maybe because the government has decreed that the price must stay fixed. In this economy, when the fundamentals change but prices can’t go up, then one of two things must happen. Either a third party pays the difference between the decreed price and the price that would have been if there was no dysfunction, commonly known as fuel subsidy, or there will be scarcity. In a really dysfunctional economy, both fuel subsidy and fuel scarcity might actually happen at the same time. As you may have guessed, Nigeria falls into the really dysfunctional category. The government insists on fixing the price of fuel and always fails to adjust when the fundamentals change. In May of 2016 after months of scarcity, fuel prices were adjusted to N145 per litre assuming an exchange rate of N285 per dollar, and a crude oil price of about $50 a barrel. Since then the exchange rate has increased to somewhere around N360 per dollar, and the price of crude oil has increased to $67 a barrel. 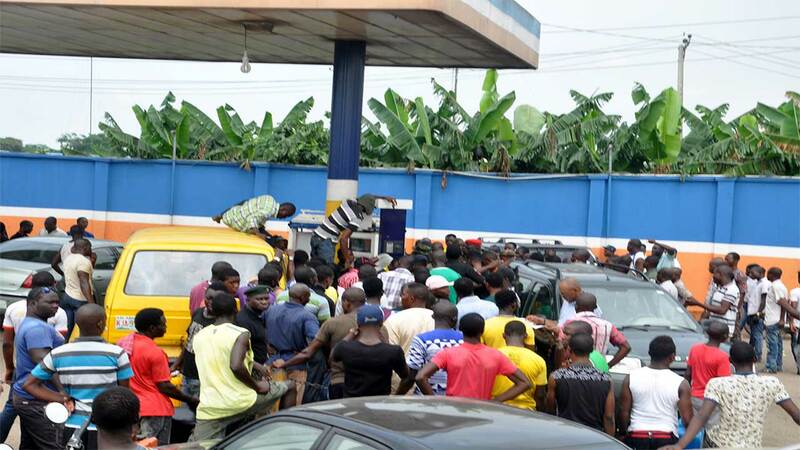 The government however insists that the price of fuel must remain at N145 per litre. The result of that desire to keep prices fixed in the face of changing fundamentals is that they have been forced to pay a subsidy, albeit indirectly. The government says it doesn’t officially pay a subsidy but its cash cow, the NNPC, pays on its behalf. The rest of the subsidy is delivered by the CBN through its insistence on keeping an official rate of N305 per dollar, the rate at which the NNPC prices its fuel. How large is the subsidy now? It is difficult to say given the opaque nature of the arrangements, but back-of-the-envelope calculations suggest that, given current prices, it will surpass N1tn in 2018. To put that number in context, federal government revenue for the year between November 2016 and October 2017 was about N3.2tn. The subsidy is not small. And of course, given the really dysfunctional state of things, we somehow still managed to have fuel scarcity. The long-term solution is for the government to simply stop fixing prices. Let markets work and let prices be set by buyers and sellers like every other commodity. Prices will go up and down like everything else. People rarely bother about small increases in prices even if it happens frequently. It’s the large overnight increases that gets the blood boiling. Functioning markets will ensure that we get rid of the scarcity once and for all and that we stop the reckless subsidy spending. Its also time that we, as a country, stop repeating the lie that the fuel price fixing is about helping the poor. We all know its about politics. Its always about politics.